This is the stable version, checked on 7 November 2015. 1 pending change awaits review. From: McMillan, A.A., Gillanders, R.J. and Fairhurst, J.A. 1999 Building stones of Edinburgh. Edinburgh: Edinburgh Geological Society. "...a dream in masonry and living rock"
The City of Edinburgh possesses some of the finest sandstone-constructed buildings in Europe. Set in spectacular volcanic scenery carved from parts of an ancient extinct volcano, which erupted some 300 million years ago, the city was endowed with excellent local sandstone resources. 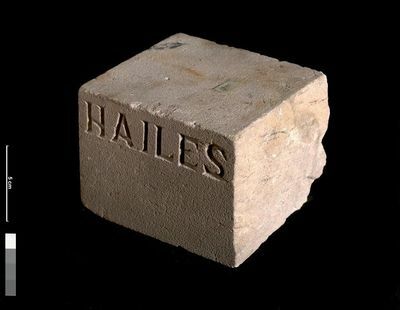 The construction of both Old and New Towns exploited these building stones, some of which, for example the famous Craigleith stone, were exported around the world. The original Old Town was built on small hills, overlooked by the crags of the largest volcanic remnant, Arthur's Seat and by Calton Hill, another part of the volcano. To the south of the modern city are the higher hills of the Pentlands, volcanic rocks of even earlier eruptions. Variation in resistance to erosion between these hard volcanic rocks and the contemporary softer sedimentary strata has resulted in a landscape of hills and hollows. During the last 1.6 million years, glaciers of the Ice Age further exploited the variable physical characteristics of the ancient bedrock. Ice of the last glaciation disappeared some 12,000 years ago leaving the bold scenery we see today. The sedimentary rocks, in particular the top quality sandstone, provided the local natural resource so effectively exploited in the construction of Edinburgh's buildings. Expansion of the city, with the development of the New Town on the north side of the Nor' Loch beginning in 1760, offered exciting challenges to architects and builders alike. During the latter part of the 18th century the demand for quality stone, so readily available on the doorsteps of the city, reached its peak. Continued expansion of the city during the 19th and early 20th century exhausted supplies of locally available material and led builders to look elsewhere, firstly in the Lothians and Fife and latterly to other parts of Scotland and Northern England, as transport systems including canals and railways developed. 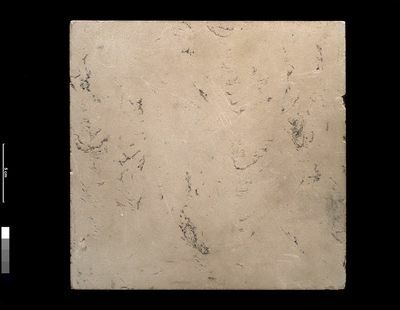 The use of natural stone declined following the First World War as concrete started to gain the ascendancy. In the last 30 years this decline has to some extent been reversed with the recognition that, used appropriately, the natural product is not only aesthetically more pleasing but more durable, enabling architects to build on that unique character which is Edinburgh. The revival in the use of sandstone was required firstly to make good the ravages of two hundred years of exposure to Edinburgh's smoke-laden atmosphere and secondly to provide modern buildings that at least give the illusion that they are built of natural stone. Interest in the sources of sandstone grew during the 19th century as architects and builders started to look for new material which matched the colour and physical properties of stone in existing buildings. The first detailed published account of Edinburgh's building stones was written by George Craig (c.1852 - 1928), architect to the Leith School Board. His paper, published in 1893, 'On the building stones used in Edinburgh: their geological sources, relative durability, and other characteristics’ (Transactions of the Edinburgh Geological Society, Volume 6) showed that, even then, when natural stone was much more widely used, it was difficult to ascertain the sources of stone. He commented that 'even now much trouble is entailed in finding out the quarries from which many of the modern buildings have been obtained'. Aware as he was of the incompleteness of his results, Craig hoped that his work would be a useful 'first contribution to a branch of practical local geology that has been but little investigated, though full of both economic and scientific interest'. The problems which faced Craig are still with us and few detailed records are kept even of today's use of sandstone. Building Stones of Edinburgh (first published in 1987) attempts to bring his work up-to-date. In recent years there has been a noticeable resurgence of interest in the use of natural stone for construction and cladding. In Scotland the increasing use of sandstone for both repair and new build has encouraged both the opening of new quarries and the re-opening of long abandoned workings. Sometimes a quarry will be reopened for a short interval to supply material for a specific building project. Other quarries have a long history of more or less continuous working. Of some twenty stone quarries currently (1998) in production in Scotland about eight are producing dimensioned sandstone and six are working flagstone (laminated, fine-grained sandstones suitable for paving). These quarries together with several in England are supplying material for buildings and streetscaping projects in many Scottish towns and cities. The renewed use of sandstone can be seen in many major developments in the City of Edinburgh, and heralds a revival in the traditional use of this material which was once locally abundantly available from famous quarries such as those at Craigleith, Hailes and Craigmillar.